Finding a cure for the forty plus neuromuscular diseases including ALS (Lou Gehrig’s disease) is the top priority of the Muscular Dystrophy Association. 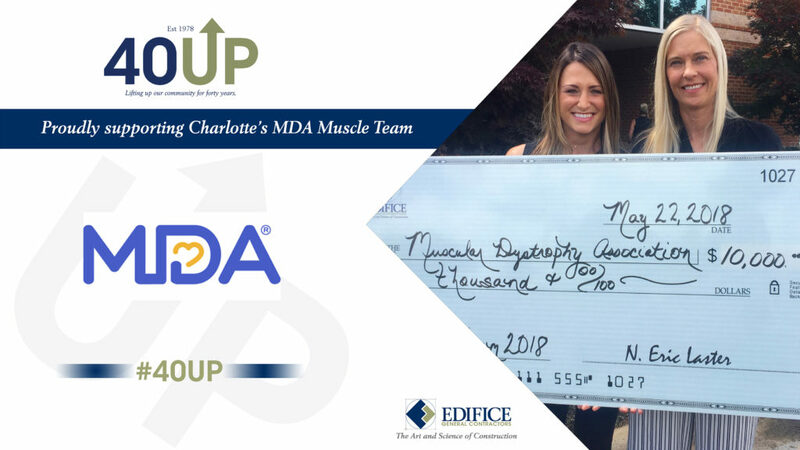 For 16 years, the MDA has been raising funds for this cause through a high profile social event called Muscle Team. The concept of Muscle Team® is to gather top athletes and pair them with an MDA® Buddy, a local child living with a neuromuscular disease. To help raise funds, the event includes numerous interactive activities as well as silent and live auctions. This year, Edifice was grateful to sponsor this event, which also honored Ron Sherrill. A long-time friend of Edifice and the construction industry, he is Vice Chairman and Chair Emeritus of SteelFab. Ron is a tireless supporter of MDA and is a role model for philanthropic endeavors.